We have been in Miami to celebrate our first anniversary. 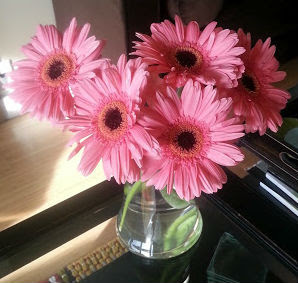 On the actual day, my lovely husband brought home these gorgeous pink gerbera daisies. Flowers are always an especially lovely surprise because I'm always purchasing them myself - it just doesn't leave much room for a need for more flowers! A few days later, I couldn't help myself. 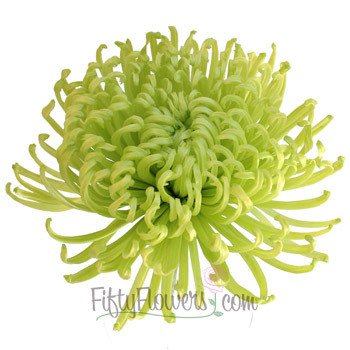 I purchased a bunch of anastasia blooms in bright green, and rearranged the flowers in a very full, very colorful bouquet.